The stage was bordered by a steel pattern, with Bumblebee doing an awesome action pose while standing on a circular lighted pedestal. My favorite here is the treatment on the block letters, which has a very masculine construction vibe to it. 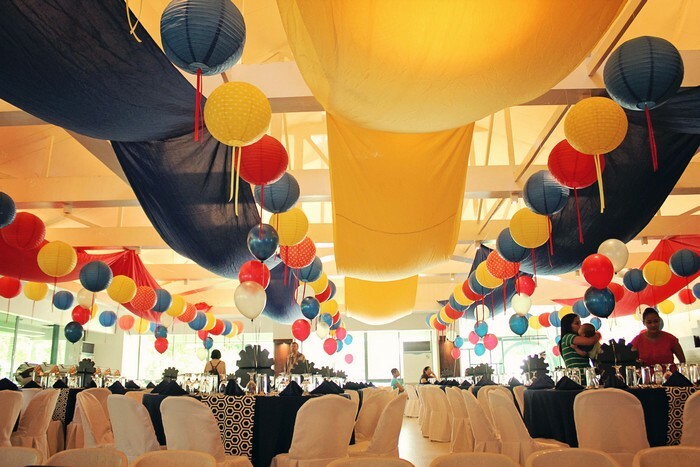 We stuck with the color scheme of red, blue (for Optimus Prime) and yellow (for Bumblebee) for the ceiling treatment, using swags and lanterns to transform the venue. 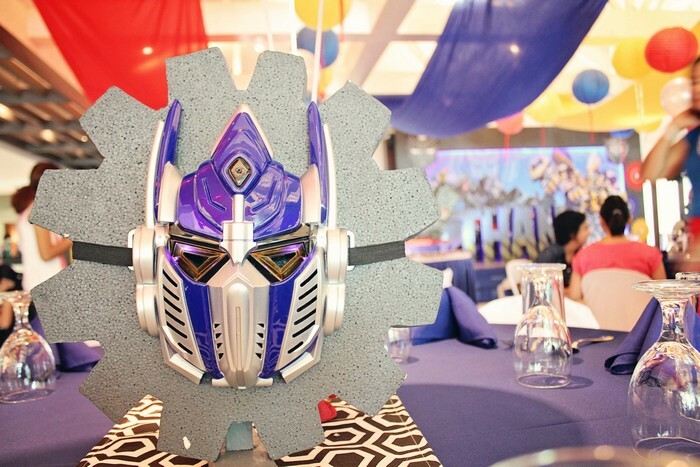 The table centerpieces were decorated with hexagon-patterned runners with these very cool Transformers masks! 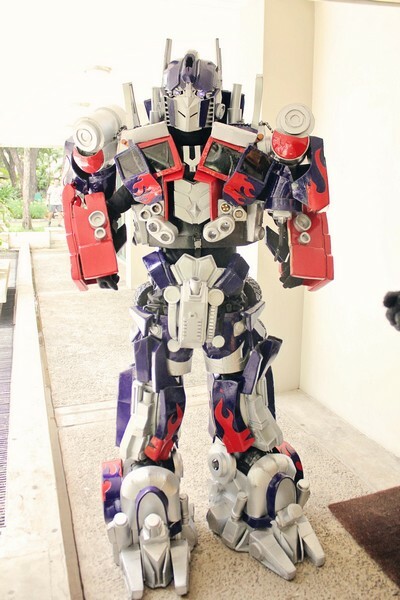 Here’s one with Optimus Prime. 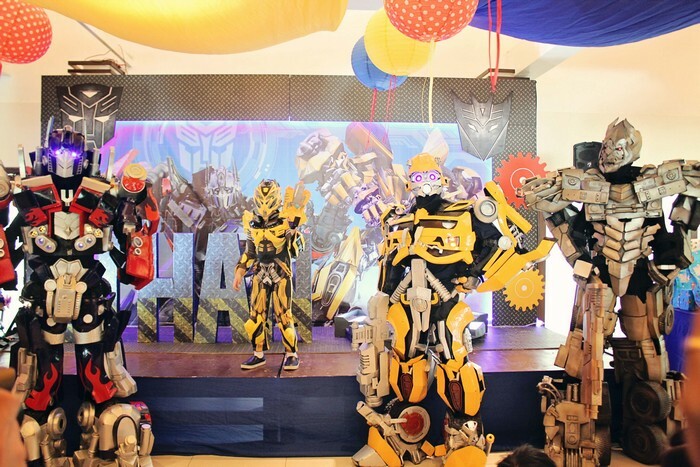 Here’s another one with Bumblebee! The masks were extremely cool, as they came equipped with LED lighting near the eyes! 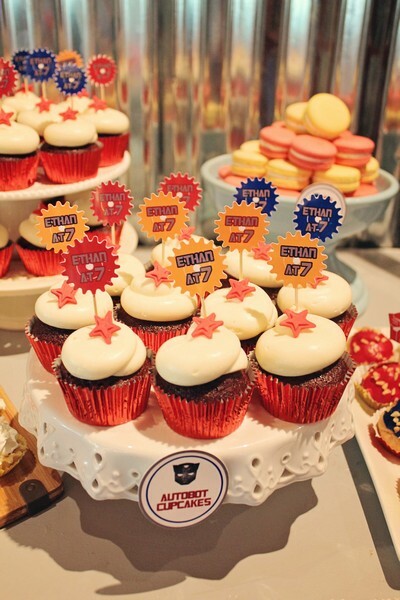 A major highlight of the party was this amazingly intricate cake done by none other than The Bunny Baker! 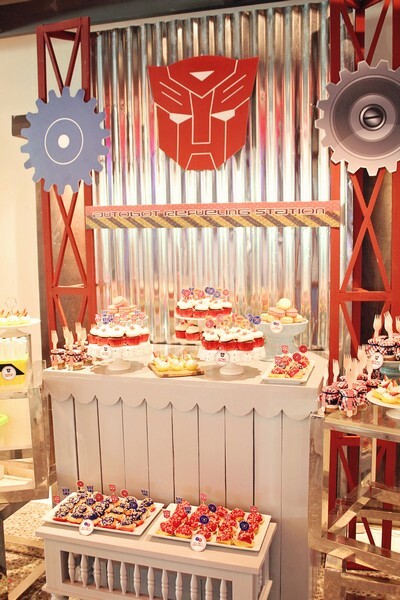 And guess what, all of the elements on the cake which includes the fearsome dinosaur, the Decepticons, and even Optimus Prime and Bumblebee battling it out on top of the crumbling building, were made from fondant cake! This was a real highlight in the party! 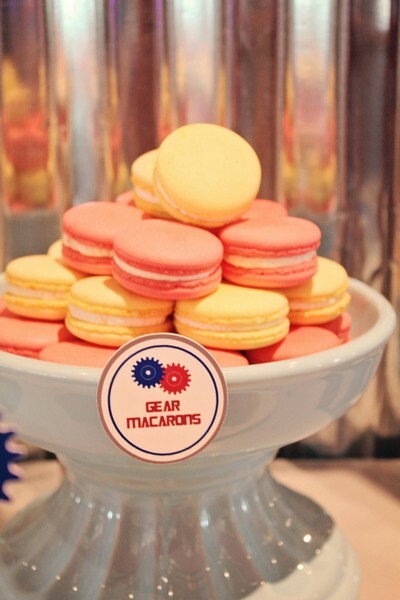 Of course, speaking of cake, the whole party wouldn’t be complete without the delectable creations of Simply Paris! 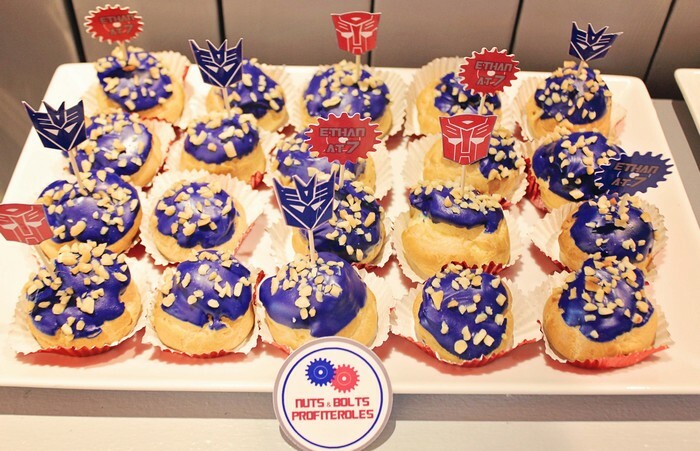 Lastly, this party wouldn’t be complete without of course the actual Transformers dropping by the party and bringing down the house! 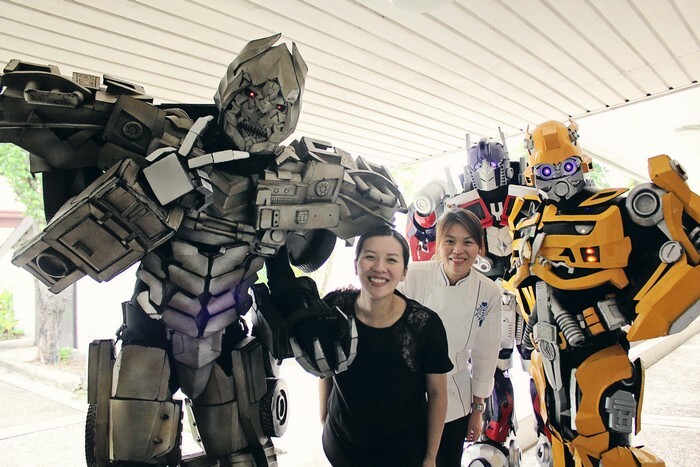 These mascots are so lifelike, you can literally feel fear oozing out from you as you stare into those blood red eyes of Megatron! Nikki and I couldn’t help but take a group shot with them though! 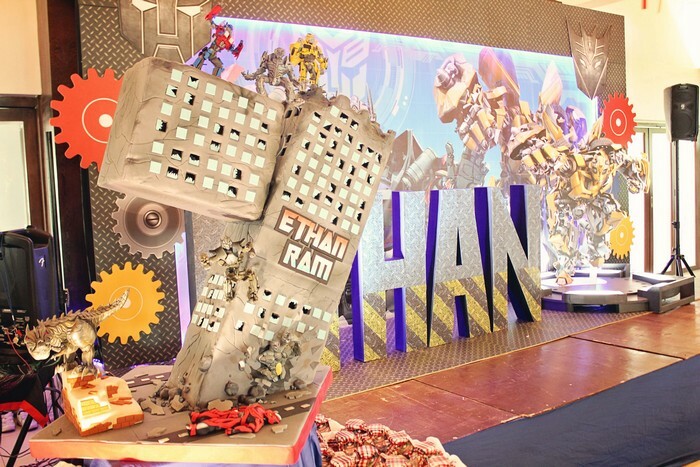 A truly special part of the event was none other than the grand entrance of Ethan. 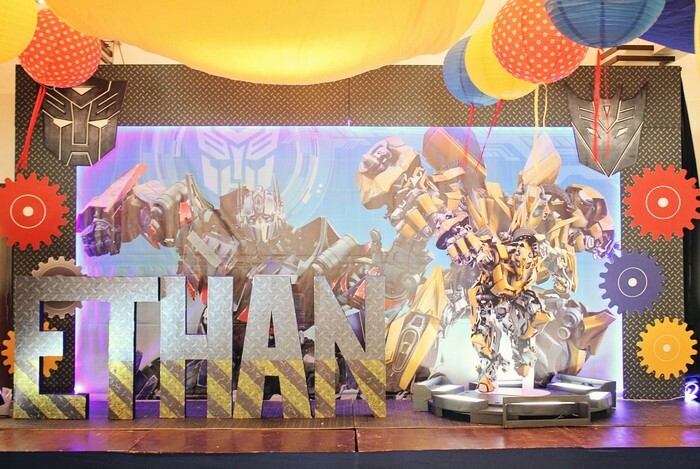 With these Transformers standing in front and ready for welcome, Ethan struts down from the entrance and towards the stage, all decked out in a Bumblebee costume. Check out Ethan in yellow on the stage below! 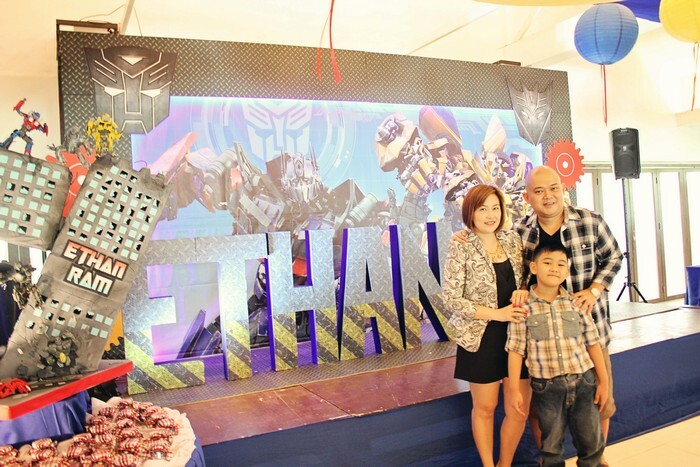 A big congratulations to Rommel, Saide, and Ethan for a truly fun filled birthday celebration! 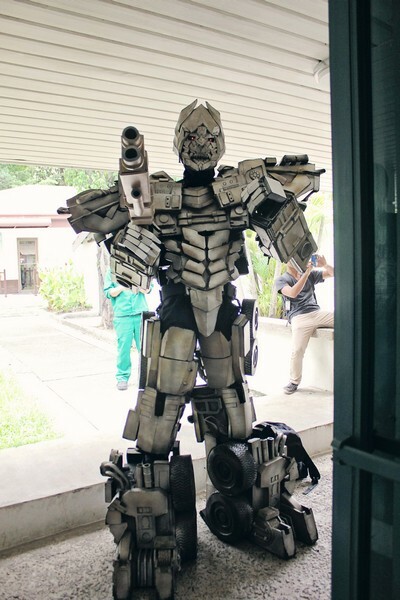 With havin so much content and articles do you ever run into any problems of plagorism or copyright violation? My website has a lot of completely unique content I’ve either authored myself or outsourced but it appears a lot of it is popping it up all over the web without my permission. 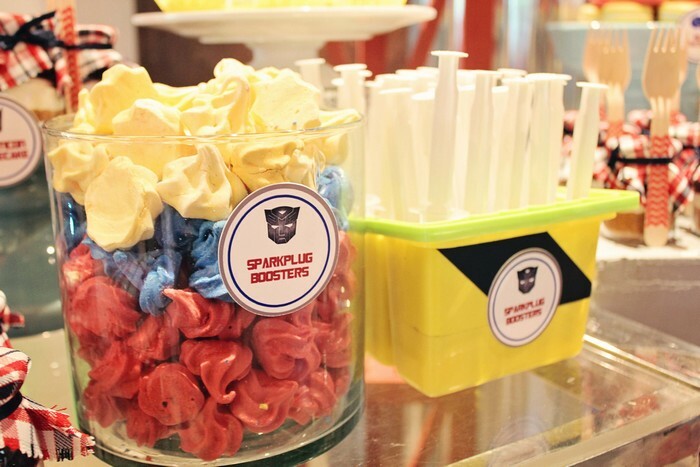 Do you know any solutions to help prevent content from being ripped off? I’d really appreciate it.